The rhetoric against a neighbouring country dominated Donald Trump’s presidential campaign: a billion-dollar wall, a crackdown on immigration, and a steep border tax. Yet when Trump fired the opening shot in his trade war, it was aimed not at Mexico – but at Canada. First came an average 20% tariff on Canadian softwood lumber. Months later the Trump administration piled another tariff of nearly 7% on the sector. 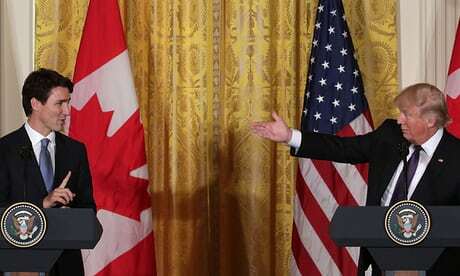 The sharp reversal – a few months earlier Trump had characterised the US-Canada relationship as “outstanding” – came as a surprise to many.